A man who is increasingly seen as the patron saint of local koalas has been named Campbelltown’s 2019 Australia Day citizen of the year. Ricardo Lonza is a vocal advocate for koalas and the bushland around Campbelltown, but he was lost for words when his name was called out by the mayor at this morning’s presentation ceremony. “I had no idea I had even been nominated for citizen of the year for Campbelltown, so I was shocked when my name came up,’’ he told the South West Voice in Macarthur afterwards. A humble man, Mr Lonza said he thought some of the other nominees “were more worthy than me’’. Lost for words: Ricardo Lonza after being named citizen of the year. He said his aim for the next 12 was to keep working with Campbelltown Council in order to get things done for koalas and other wildlife. “I want to get Appin Road up and running, the wildlife fencing, underpasses, overpasses, those sort of things,’’ he said. “We also want to protect Kellerman Drive [St Helens Park]; there was actually a koala in the development site yesterday. The founder of Help Save the Wildlife and Bushlands in Campbelltown, Mr Lonza has been living in Campbelltown for just five years. “I wouldn’t go anywhere else – even if one day I can’t afford to live here I’ll sleep on the streets,’’ he said. 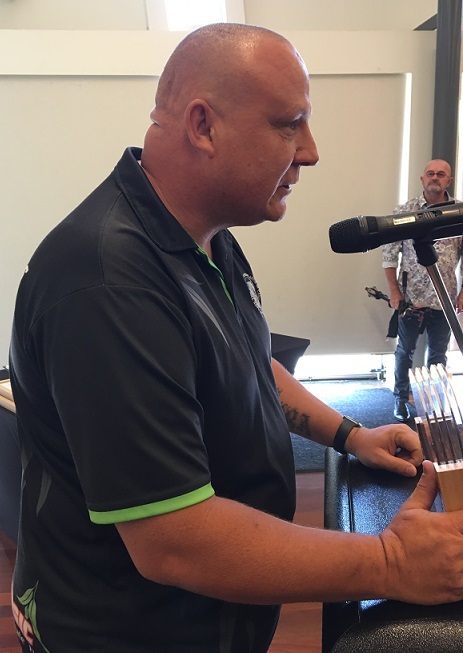 Campbelltown Mayor George Brticevic presented the 2019 Australia Day awards in the Greg Percival community centre, Ingleburn. The 2019 Young Citizen of the Year award went to Angelina Arora, an environmental scientist and innovator at the age of 16 years. Sportsperson of the Year was Damita Betham, 12, while the Dharawal Men’s Aboriginal Corporation took out the honours for Community Group Initiative of the Year. 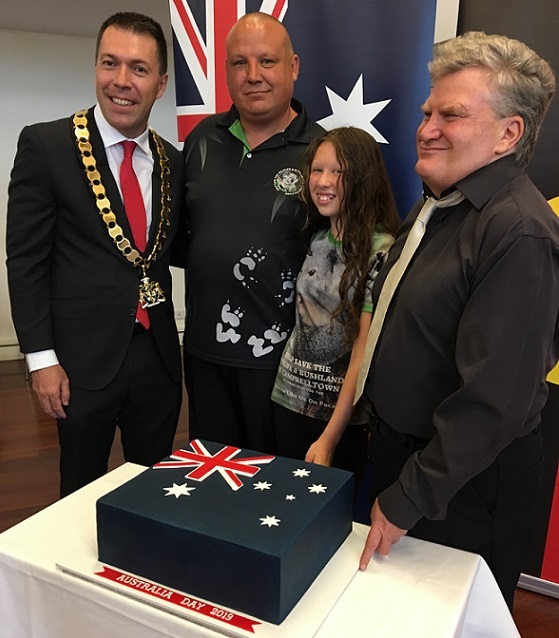 The ceremony included an address by Nicholas Gleeson, the 2019 Campbelltown Australia Day ambassador, who is blind. “Whatever happens to you in life, get back up and have a go,’’ he said. Mayor George Brticevic, Ricardo Lonza, his daughter Keira and Australia Day ambassador Nick Gleeson.